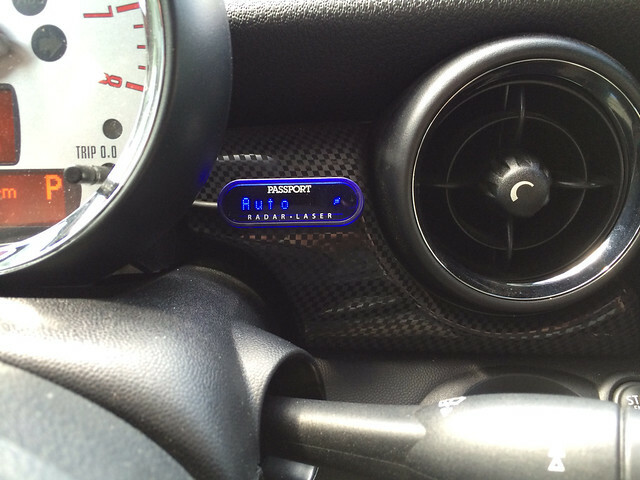 Hi all, I wanted to share a few pictures of my 9500ci install in my R57 Mini. I originally bought this for my 2014 Jeep SRT, but the sticker on it made me really not want to cut into it. So, I decided to put it into my little commuter. There isn't a lot of room to play with so I had to work with what I had. 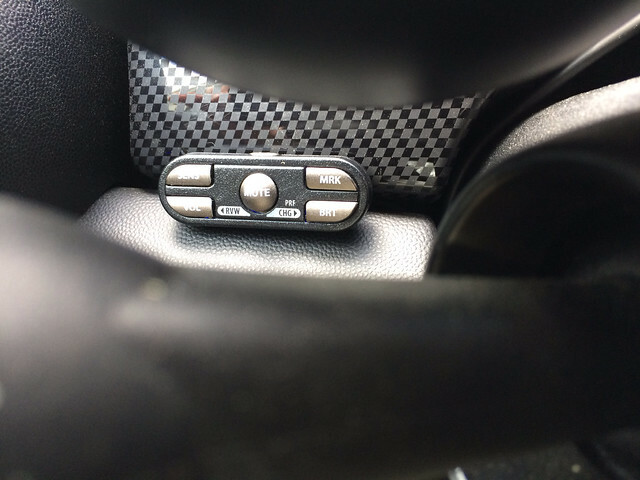 The LaserPro shifters fit pretty well vertically in the grill with minimal cutting. 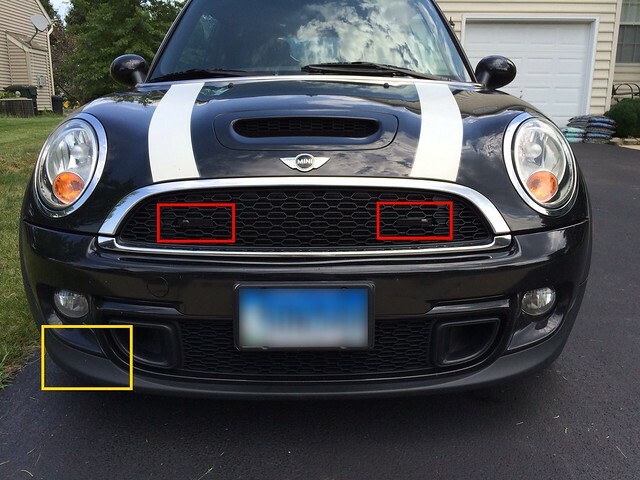 The biggest pain with the Mini was removing the front bumper. Once it was off, I figured I might as well install an upgraded intercooler and if I was going to do that, I might as well replace some of the turbo plumbing. Yeah, I'm not very bright. Anyway, this turned into like a two week affair, but it turned out pretty good. I am concerned with the placement of the radar receiver, but folks say it can safely be installed behind plastic. I just think that bumper is awfully low and hopefully I don't lose a lot of performance. 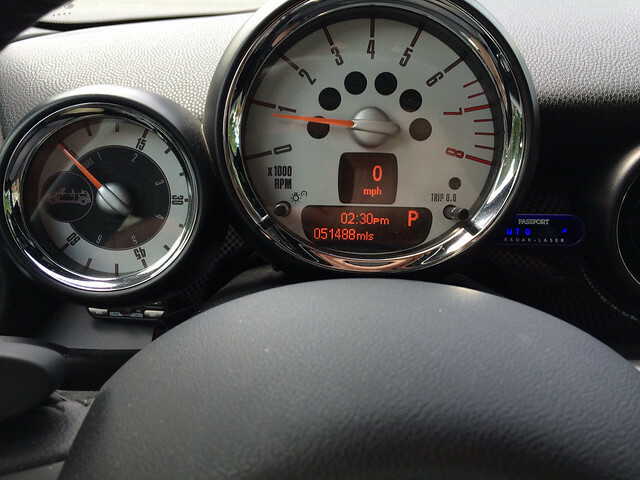 I installed the controller on the left of the steering wheel, the display on the right next to the tach. Eh, it works. Not sure what I'd do differently, other than having the display stealthed into the rearview mirror. I'm just an old IT guy, but I think it turned out pretty well. Thoughts? Just make sure those lsp heads are parallel to the road and not the grill. It looks like it slopes back a little bit. Looks good!